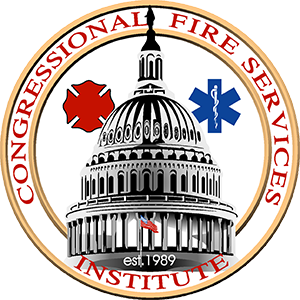 Dr. Ernest Grant to be honored with the Award at the 31st Annual National Fire and Emergency Services Dinner in Washington, DC, April 25, 2019. The Congressional Fire Services Institute (CFSI) and the International Fire Service Training Association at Fire Protection Publications, Oklahoma State University (IFSTA/FPP/OSU) are pleased to announce that Dr. Ernest Grant has been selected as the recipient of the 2019 Dr. Anne W. Phillips Award for Leadership in Fire Safety Education. Dr. Grant was the Outreach Nurse Clinician, North Carolina Jaycee Burn Center (retired) responsible for burn prevention. He is the Past Chair of the National Fire Protection Association (NFPA) Board of Directors, and the current elected President of the American Nurses Association. Dr. Grant has dedicated his life to fire safety education as a national and international burn prevention expert and policy advocate. For more than 30 years, he has advised, coordinated, delivered and evaluated nationally acclaimed burn prevention programs. As a respected leader and burn prevention advocate within the American Burn Association, he was able to move burn prevention into the spotlight within the ABA. In addition, his written work has inspired and influenced the teaching of burn prevention in the medical community. When not applying his knowledge in burn treatment centers, Dr. Grant has been doing so in the halls of government. He was very active in advocating the North Carolina legislature for passage of legislation that addressed the dangers of hot water heaters, distribution of smoke alarms and need for fire safe cigarettes. Through his prolific work, he fulfills the spirit of Dr. Phillips’ minority report to America Burning by inspiring others in the medical community to prevent fires as the best method to reduce burn injuries and fire loss. The award will be presented on April 25th at the 31st Annual National Fire and Emergency Services Dinner in Washington, DC.